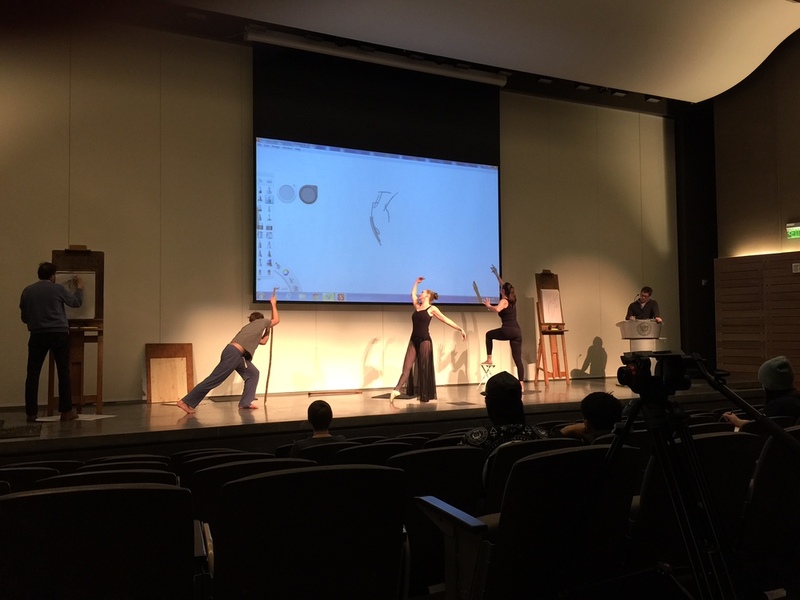 One of the highlights in our recent trip to Savannah with the Living Studio and Jeanne Oliver was our exposure to the Savannah College of Art and Design (SCAD). The school has over 12,000 students and owns over 65 buildings in the city, many rehabilitated by the school. There are six galleries that are open to the public and the SCAD Museum. Serendipity allowed us to visit this museum because another museum was closed. There were three exhibits, an assemblage/mixed media exhibit by Nari Ward entitled "So-Called," a representation of beautifully designed Oscar de la Renta dresses, and an unusual display of cigarettes for which I was thankful I didn't have to stage because the smell of tobacco was overwhelming. 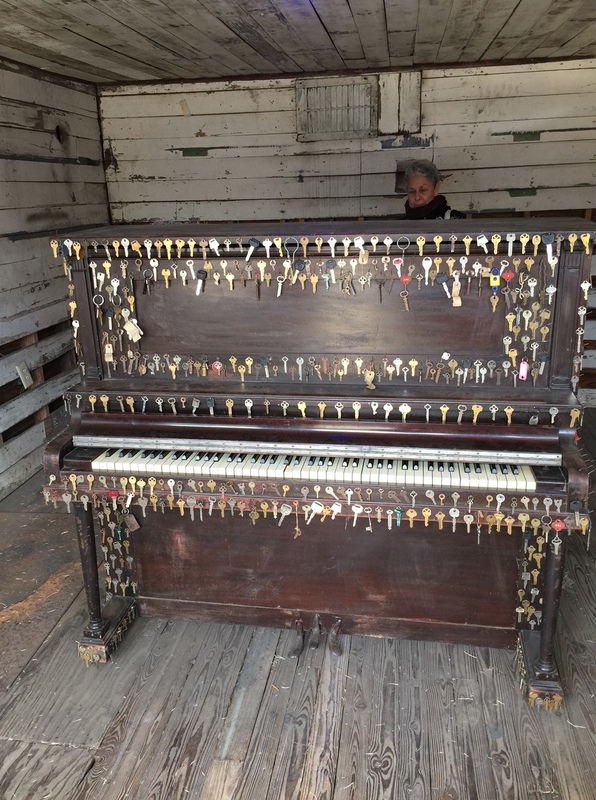 Outside there was a small house with a piano covered with keys and on the back was a screen showing the original store with thousands of keys and locks with a running story. Pretty cool for an assemblage artist to see. The exhibits were great, but the most exciting thing we did was to participate in a live model studio. Everyone was so gracious to us and several insisted that we take our sketchbooks in and draw. Jeanne was over the moon because we were actually living her dream for the Living Studio. And we were so proud of our group because they all jumped in and sketched. It was my first time sketching live models. On the way out with our minds and hearts full we spied an antique store across the street. That was another good find. This was the way our last day went, one serendipitous thing after another. We ebbed and flowed with the best group of women who wholeheartedly joined in the adventure. On one of our walks home, Jeanne and I discovered another SCAD gallery. Everything in the exhibit by Scott Carteris made out of sheet rock, including the walls. Pretty awesome. Pictured aboved is our group of wonderful artists that we enjoyed so much in Savannah. Here is the link to the post Jeanne wrote about our trip together.